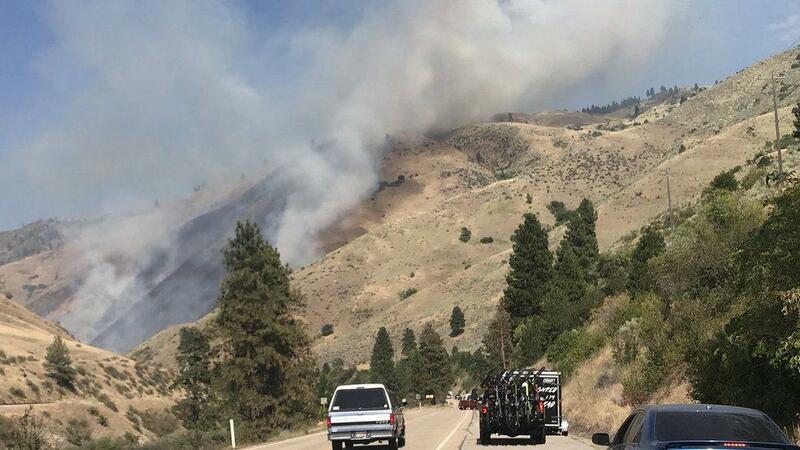 BOISE – The fire near mile marker 73 on Highway 55 has covered 2,000 acres and continues to grow as a larger team arrives in Boise and prepares to fight it. Randall Phelps, spokesman for the Idaho Department of Lands, confirmed a type 1 team is on its way to the Treasure Valley to fight the fire, which began about 4 p.m. Wednesday. A type 1 team is the largest possible team called in to fight a fire, Phelps said. Teams can be made up of crew members from multiple states. Due to a combination of the weather, terrain and nature of the timber, officials felt it necessary to call in the team, Phelps said, even though a 2,000 acre fire is not large by wildfire standards. “They’ll be in tonight and they’ll take over the fire tomorrow morning,” Phelps said. The Idaho Department of Lands has asked drivers to avoid the area, and watch for falling rock if they are in the area. Published: July 26, 2018, 9:45 a.m.